Guinness Nigeria Plc has announced the appointment of Professor Fabian Ajogwu, SAN and Mr. Paul Gallagher to its Board as Non-Executive Directors. According to a statement released by the company, Fabian Ajogwu, a Senior Advocate of Nigeria, practices law at Kenna Partners; and is a Lagos Business School Professor of Corporate Governance. He is an Alumnus of the Said Business School of Oxford University, and an Alumnus of the Lagos Business School. 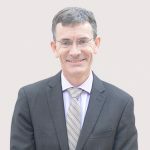 He holds a Doctorate degree in Law from University of Aberdeen, Scotland; an MBA from the IESE Business School, Barcelona; and Law degrees from the University of Nigeria, and University of Lagos. The Learned Senior Advocate has been Lead Counsel to the Federal Government of Nigeria in several cases of national importance and is the author of several books. Professor Ajogwu chaired the Nigerian Communications Commission Committee on Corporate Governance that produced the first NCC Code of Corporate Governance for the Telecommunication Sector in 2014. He serves on the Financial Reporting Council of Nigeria 2018 Technical Committee on the National Code of Corporate Governance. He is a Fellow of the Society for Corporate Governance Nigeria; a Fellow of the Nigerian Institute of Chartered Arbitrators, Fellow of the African Leadership Initiative West Africa, Henry Crown Global Leadership of the Aspen Institute and a Fellow of the AIFA Reading Society. He serves on the board of the Lagos Court of Arbitration, the Governing Council of the Nigerian Institute of Chartered Arbitrators, and the Governing Council of the Pan-Atlantic University (Lagos Business School). He served as a member of the General Council of the Bar, and the Council of Legal Education (Nigerian Law School). Professor Ajogwu is a member of the London Court of International Arbitration, and a member of the Lagos Court of Arbitration, and is listed on its panel of neutrals. He is also a member of the International Council for Commercial Arbitration. Professor Ajogwu sits on and chairs several boards including chairman Novare Group’s subsidiaries in Nigeria (owners of Novare malls), ARM Harith Infrastructure Investment Ltd (Nigeria’s pioneer infrastructure fund), and NES Global amongst others; Non-Executive Director of Stanbic IBTC Holdings Plc and has served as Honorary Counsel to the State of Israel in Nigeria, Venezuela and Republic of South Africa in Nigeria. He was appointed to the Board of Guinness Nigeria Plc as a Non-Executive Director with effect from 1st November 2018. He resides in Nigeria. Paul Gallagher is a seasoned global supply and procurement expert with over 25 years’ experience, he obtained an honours degree in Mechanical/Electrical Engineering from Trinity College, Dublin Ireland. Paul joined Diageo in 1993 and is currently the Global Supply and Procurement Operational Excellence Director for Diageo responsible for the end to end procurement and supply chain across Africa including global accountability for excellence in operations. Prior to this, he has held several senior leadership positions across Diageo including President North America Procurement and Supply Chain; Asia Pacific Procurement & Supply Chain Director; Diageo North America Senior Vice President, Customer Service & Supply among other roles. He is a Non-Executive Director of East African Breweries Limited, a publicly quoted Diageo subsidiary in Kenya. He was appointed to the Board of Guinness Nigeria Plc as a Non-Executive Director with effect from 1st November 2018. He resides in Ireland.